Nuwara Eliya - Sri Lanka's "Little England"
Nuwara Eliya at an altitude of 1,868 m above sea level is Sri Lanka’s highest city, close to the island's highest peak. This area had not been populated before the British colonial period. 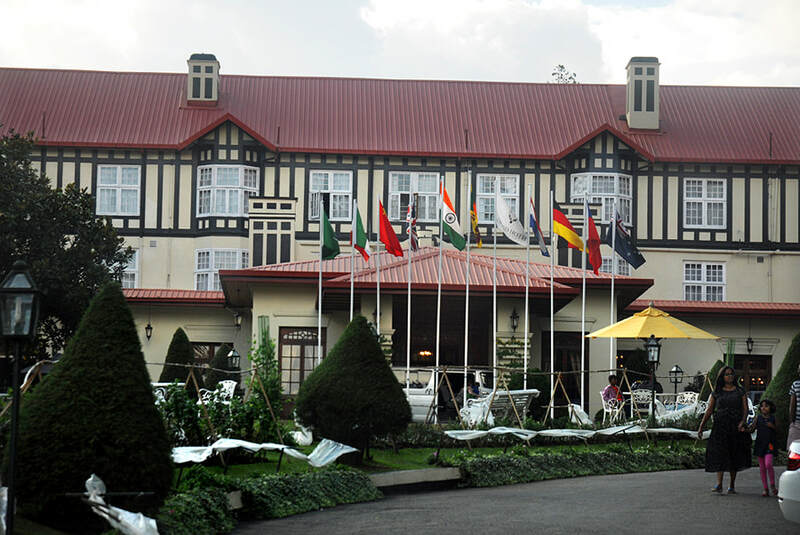 The British high society fell in love with Nuwara Eliya due to its cool climate. Like in India and Myanmar, they preferred such high elevations for their holidays, as an escape during the hottest period at the end of the dry season. 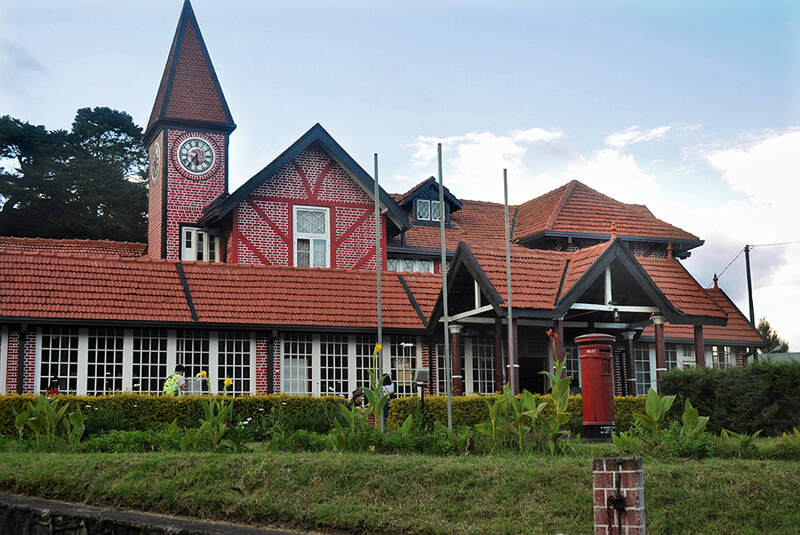 Nuwara Eliya has remained to be an annual meeting point of the upper class also after Ceylon’s independence. Nuwara Eliya, often pronounced as a single word “Nureliya” by locals, means “City of Light” or “City of the Clearing”. Nuwara Eliya is also the name one of the three vastest tea-growing regions in Sri Lanka. But you should be aware: Though pocket guide books like to call it the largest tea region, it is definitely not. The main tea region of Sri Lanka is called Dimbula and stretches from Nanu Oya (10 km west of Nuwara Eliya) to Adam’s Peak. Hatton in the very centre of this tea region can be called Sri Lanka’s true tea capital. Secondly, the rule for tea quality is not: the higher the better. The best altititude is about 1500 m. This is why the tea growing area of Nuwara Eliya is situated further below, just at the other side of the 2100m high pass called “Top pass” that is crossed by the road from Kandy and marks the entrance of Nuwara Eliya (close to Toppass Breeze Hotel). Most tourists cross The Top Pass when arriving from Kandy. This means, they have seen the entire tea region known as Nuwara Eliya before reaching the town of Nuwara Eliya. The Nuwara Eliya tea region stretches 20 km between Pusselawa and Top Pass, as the crow flies, Ramboda being at the very center of it. 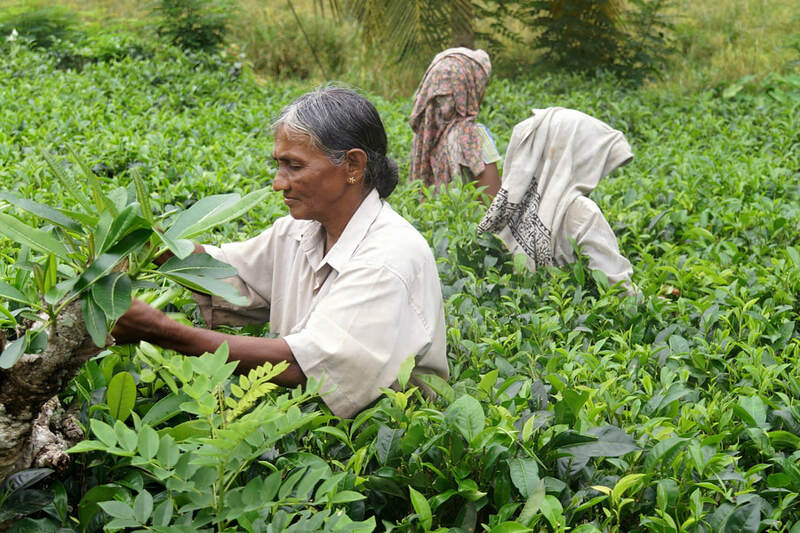 Three tea factories can be visited near Ramboda, namely Glenloch, Blue Field and Labookellie, the latter being Sri Lanka’s largest tea plantation at all. Though tea is also grown in the immediate surrounding of Nuwara Eliya, the valley is a much more conenient place for growing vegetables. Ironically, Nuwara Eliya known as a tea region all over the world is in fact the best potato region of Sri Lanka. Potato and vegetable farming in the first place was the reason why a settlement came to existence in this remote and then not easily accessible highland region. 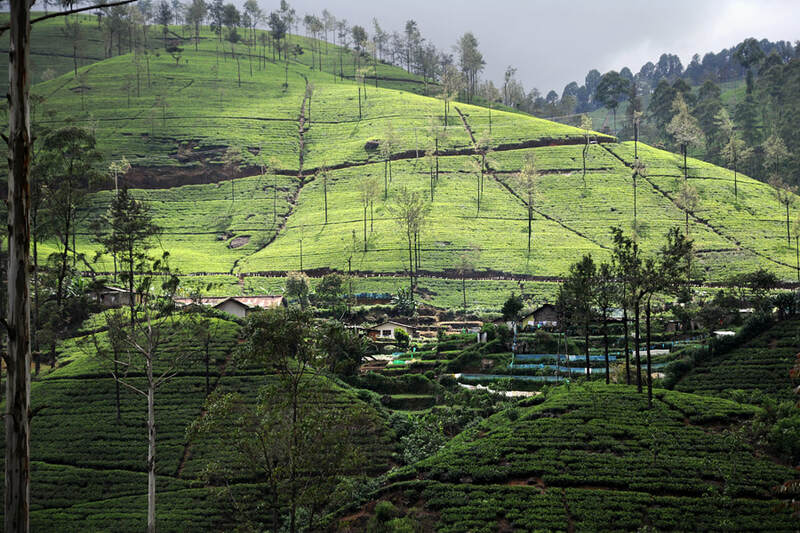 In Nuwara Eliya valley, the British could grow just those kinds of food crop they were used to eat in England and liked to eat in their tropical new homes in Colombo, too. The actual founder of the city was no less than Samuel Baker, the later explorer of the springs of River Nile and discoverer of Lake Albert in Africa. 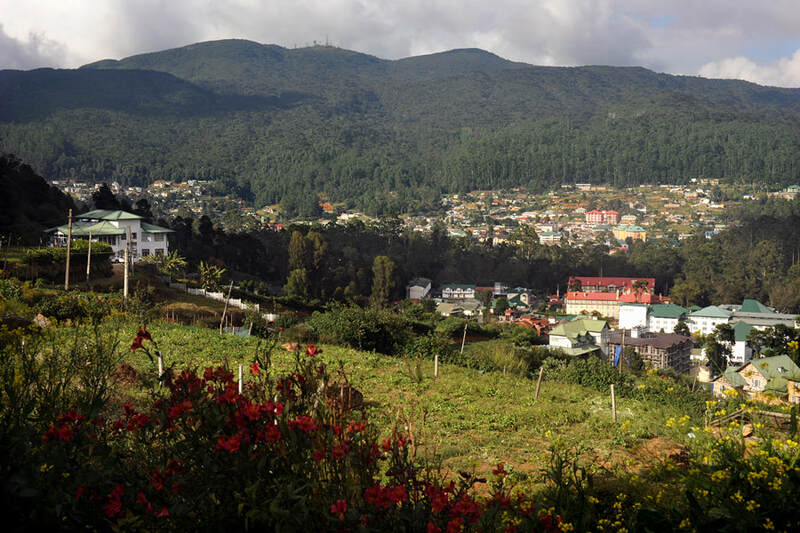 Baker developped the agrarian sector of Nuwara Eliya in the mid 19th century, although the history of the hill station had begun even earlier. British Ceylon’s Governor Edwar Barnes (1824-31) liked to use the cool climate of the valley for hospitalizing convalescents, because this was much cheaper than sending sick public servants back to Britain. In 1828, a first access road and some bungalows were constructed. Barnes chose one place as his personal holiday accomodation. It was the place of the later Grand Hotel. The other bungalows became hotels in much later times, too, namely Andrews, Keena and Carlton. Barnes’ successor, Robert John Wilmot-Horton, published several articles about Nuwara Eliya in the "Colombo Journal". So Nuwara Eliya was already known for its climate, when this attracted Samuel Baker, who came to Ceylon not as an explorer of the unknown but as a business man. His plan was to develop Nuwara Eliya to a small England within Ceylon to supply crops and beef to Colombo. For his venture “Baker’s Farm”, he had to invested an enourmous amount of money, in spite of the low price of the land in the remote vally. But he had to transport of cattle from England and to hire agricultural specialists. The trek through the highlands turned out to be the most difficult part. Tragically, an oxcart fell down a cliff near Ramboda and many helpers came to death, Baker’s brothers John and Valentine were among the victims. Samuel Baker burried them right at the spot. Despite of all the hardships, Samual Baker’s Ceylon development project succeeded and today’s Nuwara Eliya can be seen as the result of it. 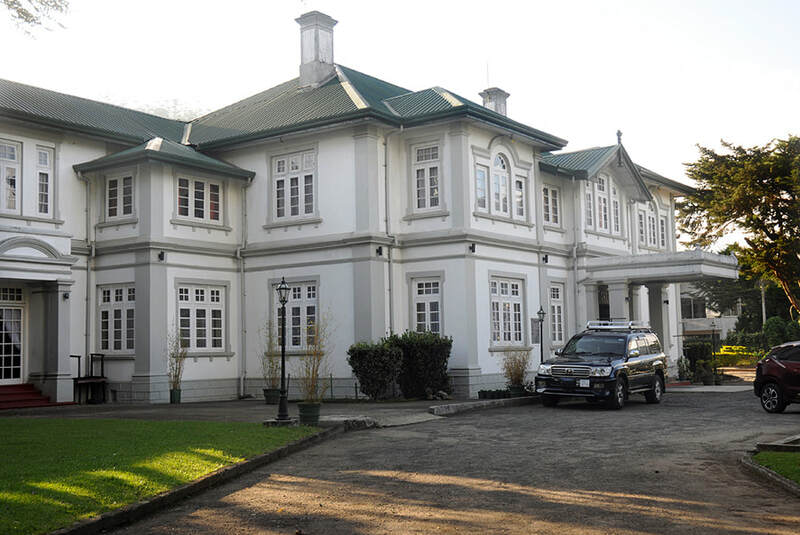 Many of the buildings retain features from the colonial period such as the Queen's Cottage, General's House, Grand Hotel, Hill Club, St Andrew's Hotel and Town Post Office. New hotels are often built and furnished in the colonial style. Visitors the city can wallow in its nostalgia of bygone days by visiting the landmark buildings. Many private homes maintain their old English-style lawns and gardens. The modern centre of Nuwara Eliya is – it has to be admitted – impersonal and faceless as most other towns in Sri Lanka. However, the adjacent area of the 18 hole golf course has retained its British flair. 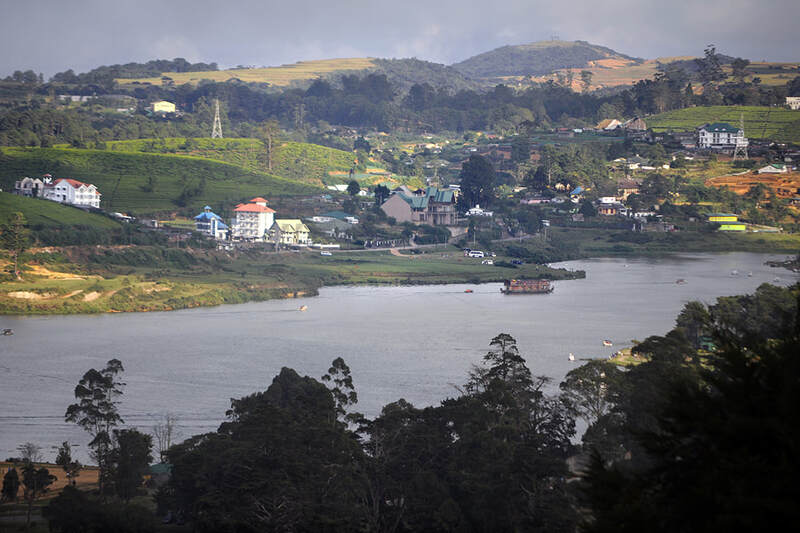 Due to Victorian hotels and Tudor-style bungalows surrounded by well-kept greens, Nuwara Eliya likes to be referred to as “Little England” in tourist broschures. 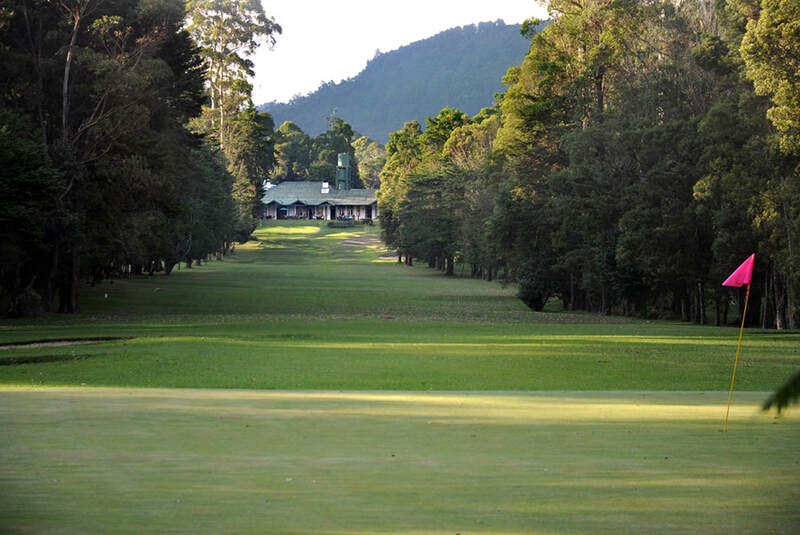 The golf course is an attraction in itself, it’s considered one of the best in Asia. Besides a golf course, a classical British hill station needs a municipal park, a lake and horse race stadium. So Nuwara Eliya has all of this, although the latter is in an disrepair and car races have become more popular than horse races during Nuwara Eliya high season (or high society season) in April. Nuwara Eliya is situated in the valley below Sri Lanka’s highest mountain. Pidurutalagala, known as “Mount Pedro” during the colonial period, reaches a height of 2.534 m. Nevertheless, it’s not a spectacular view from Nuwara Eliya, because it surmounts the settlement area by less than 600 m. Climbing the summit is not permitted any more, because it is used by the army. The peak at the opposite side of Nuwara Eliya is “Single Tree Mountain”. A field road leads to the top. Single Tree Mountain is definitely the best vantage point close to Nuwara Eliya. Reaching the top is easy and will not take more than one hour uphill. Nuwara Eliya makes a fine base for relaxation and day trips to the surrounding countryside of scenic tea plantations. Horton Plains excursions usually start in Nuwara Eliya. Although the central highland region of Sri Lanka is foggy and rainy throughot the year, there can be days with perfectly blue sky in every season.